While girls in Finland have recently been close to the top in OECD comparisons, the gap between girls and boys is bigger here than anywhere else in the test countries. Finnish school children are among the best in the world in group problem-solving, according to the latest data released from the Programme for International Student Assessment (PISA) study. On Tuesday the final tranche of data was released from the last round of testing in 2015, following other results released late last year. For the first time, the test included a comparison of collaborative problem-solving skills, covering 15-year-old students in 51 countries and cities. The top two places in the ranking went to Singapore and Japan, with 561 and 552 points respectively. Among Organisation for Economic Cooperation and Development (OECD) countries, Finnish 15-year-old students ranked fifth in group problem solving. Among all other countries and regions, Finnish students ranked seventh in the subject. Finland and seven other economies are virtually tied for third place, with no statistically significant difference in their point totals of 531-541 points. Of these the only European country is Finland's southern neighbour Estonia (which scored a slightly higher 535 points). The others are Hong Kong, South Korea, Canada, Macao, New Zealand and Australia. The other four Nordic countries ranked slightly lower, ranging from Denmark at 520 to Iceland at the OECD average of 500 points. The last PISA study measured half a million students from more than 70 economies on their strengths in mathematics, science and reading. The test is carried out every three years by the OECD. After the PISA tests were launched in 1997, Finland regularly ranked at or near the top of the assessment's various lists for years. In the past five years, however, its schoolkids have slipped in the rankings, while remaining the strongest overall in Europe by most measures. 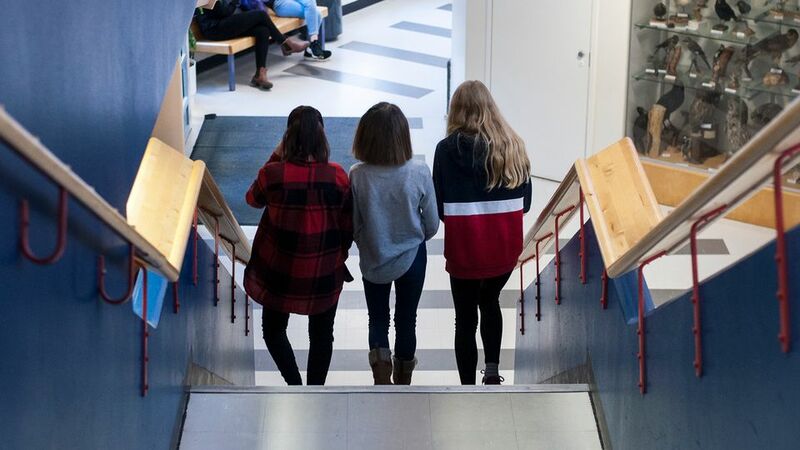 Finnish educational officials have expressed concern that recent results suggest increasing disparities between genders, language groups and regions in the country, which has long prided itself on egalitarianism. In this regard the latest findings offer both good and bad news. Compared to last year's results for reading, maths and sciences, there was less variation between schools in the problem-solving test – in fact less than in any country besides tiny Iceland. While the Nordic countries generally had small variations between schools, the largest gaps were in the Asian economies that topped the list. Whereas in Finnish schools the differences averaged 6.3 percent, in Singapore the corresponding figure was nearly 24 percent, while in Japan it was more than 28 percent. Even in Estonia, differences were three times wider than in Finland. Parents' educational levels and wealth also played a smaller role in Finland than elsewhere besides Macao, while these had the strongest link to pupil achievement in Singapore and Japan. However, while girls in Finland have recently been close to the top in OECD comparisons, the gap between girls and boys is bigger here than anywhere else in the test countries. In the group problem-solving test, the average point difference between the sexes in Finland was 48, compared to the OECD average of 29. Girls in Finland scored 559 points while boys scored 511 points, compared to the OECD averages of 515 to 486 points respectively. Finnish PISA researchers point out that the latest results are partly based on reading and discussion skills. They note that girls in Finland have surpassed boys in reading skills since the year 2000, and speculate that they may be more accustomed to chatting in their free time than their male counterparts. PISA researchers say that the gender split is so significant that it should be taken into account in educational development.